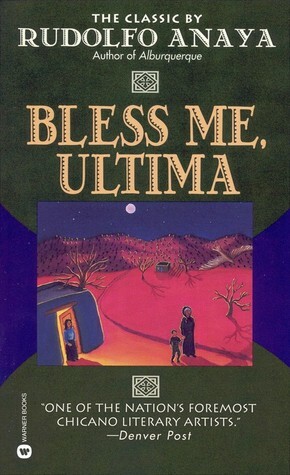 Welcome to this month’s Banned Books feature where this month Beth and I read Bless Me, Ultima by Rudolfo Anaya. Antonio Marez is six years old when Ultima comes to stay with his family in New Mexico. She is a curandera, one who cures with herbs and magic. Under her wise wing, Tony will probe the family ties that bind and rend him, and he will discover himself in the magical secrets of the pagan past-a mythic legacy as palpable as the Catholicism of Latin America. And at each life turn there is Ultima, who delivered Tony into the world…and will nurture the birth of his soul.